Experienced Private Chef and Speciality Meal Prep Services as well as Private Catering. An extensive list of clientele. Sassy and Savy! 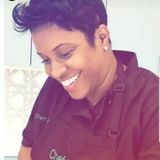 Talented Female Chef for any of your needs! A Natural Gourmet Institute grad- a passionate and creative chef focussing in health supportive and plant based cuisine. Energetic, result-driven Chef seeking a challenging position to utilize excellent culinary skills.